Homeowners across the country spend over ten billion dollars annually in their efforts to keep their homes cool and comfortable when the weather is warm. In creating a comfortable living environment, they inadvertently create a situation where their air conditioning systems force enormous amounts of carbon dioxide into the environment -- to the tune of around one hundred million tons. It is possible to reduce toxic emissions and reduce your energy costs while cooling your home by following some simple green strategies. Try out these simple eco-friendly tips. When you're away from your home, close both your windows and your curtains. This will reduce the amount of heat that will enter your home either through warm air from outside, or through the heat of the sun as it passes through your window panes. As the air cools in the evening, open your windows and curtains and allow the cool air inside. There are many appliances that will contribute to the heat level in your home. Plan your day so that you use your oven, washer and dryer during the evening. 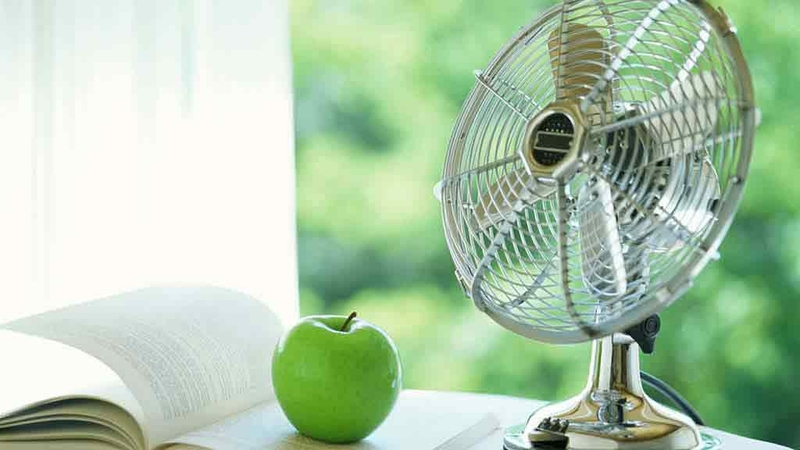 These products can be a large source of extra heat and using them when the air outside is cool will enable you to keep your home cooler during the day. Incandescent light bulbs also generate a great deal of heat. Consider switching them with more energy efficient fluorescent bulbs to reduce the heat in your home and the cost of your energy bills. There are a wide variety of fluorescent bulbs available to meet all of your needs. By opening your window during the evening and placing a fan in front of the screen, you can circulate cool air throughout the room. Ceiling fans are another efficient way of keeping your interior space cool. If you have one, use it; if you don't have one, consider gettting one installed. They come in all sorts of designs to accent the decor in any room. One of the best ways to keep your home cool is to ensure that your air conditioner is operating at optimal levels. Schedule an appointment to have your system inspected by a certified technician. Your service professional will check to be sure that your filter is clean. A dirty filter will block the flow of air and cause your system to work harder than necessary. Have your technician set the thermostat to a higher level when you are not at home so that it you don't have to waste energy while you are out of the house. Discuss your options for having a programmable thermostat installed so that you can set the air temperature ranges yourself. Before the long hot summer months arrive, plant several trees in your yard that will provide shade for your home. Speak to your local garden center professionals about your concerns. They will help you choose the best trees for your location that require the least amount of upkeep. Trees not only block the hot rays of the sun from warming your home, but they also add value to your property.